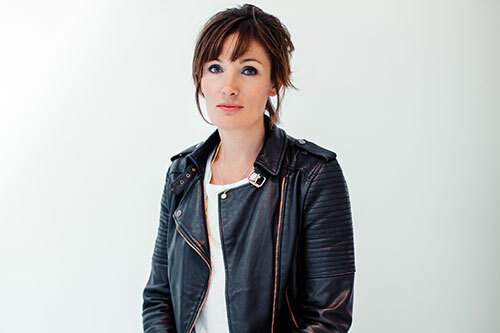 Rising literary star and City short course alumna, Hannah Begbie, on what it took to publish her first novel. My youngest son was diagnosed with cystic fibrosis at five weeks of age. It was a shock and we had a lot to learn, not least how to protect his lungs from the infection-causing bacteria that might progress the illness. One of the challenges lies in how to balance everyday life with avoiding the things that could make him unwell like coughs and colds and mud and sand. Initially I wrote through the experience in the form of diaries then one day the entries morphed into fiction, probably as a way of exploring my own worst fears. I read back what I’d written and locked it away at the back of a drawer. A few months later I started working on an idea for a romance. Initially I wanted to write a Romeo and Juliet type thing and was looking for something non-religious and non-political to keep the couple apart. That’s when I considered the danger of infection in cystic fibrosis, particularly the risk of people with cystic fibrosis passing antibiotic resistant strains between them. What if you met someone you were attracted to – fell in love with, even – but every time you saw them it put your child at mortal risk of infection? How difficult was it to fictionalise experiences from your own life? Nothing in the draft comes from my own experience directly. I sought to take an emotional truth and then create character and story that would best exploit the conflict and express what I wanted to say. Occasionally that was a real challenge (see below). What made you enroll on the Novel Studio? When I came up with the idea for Mother I was on my sixth draft and sixth year working on a romantic comedy novel. I initially applied because I thought it would be a good way of unlearning bad writing habits and unlocking the key to my next draft. Actually it ended up being a blank slate for me to start again with Mother and I met a group of writers who were undertaking their own writing challenges. We were all very supportive of each other’s aims. It was a very happy year. Do you have any advice for anyone wanting to publish a novel? What’s been the hardest challenge? Redrafting the few scenes that have their roots, albeit not their substance, in personal experience. For example, just the way the timings worked, I was sitting with my son at a hospital clinic on the anniversary of his diagnosis, in the same room he was diagnosed, having spent the previous week re-drafting a fictional diagnosis. My brain was on overtime. I drank some gin that week. Which authors or novels have inspired you? The authors I truly love are the ones that write about the messy business of being human with energy and truth and wit and poignancy. I love Jonathan Franzen’s The Corrections and anything written by Maggie O’Farrell, and I’ve always loved Marian Keyes for her ability to make you feel like you’re sitting at a pub table with her characters. I read short stories when I’m drafting (Lucia Berlin, Lorrie Moore, Raymond Carver and John Cheever) and any and all novels when I’m editing. I’m re-reading Euripides’ Medea at the moment both for my new book, and because I love it. I’m drafting the next novel which places another female protagonist in the heart of a terrible dilemma, one that forces her to consider the limits of what we owe strangers, and also how the small, personal moral choices that we make can sometimes profoundly shape the wider society we live in. 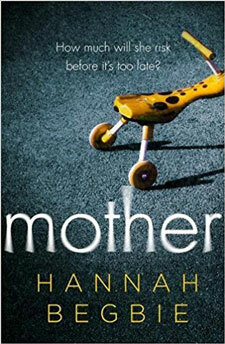 Mother will be published by HarperFiction in July 2018, and has already won The Romantic Novelists' Association's (RNA) Joan Hessayon Award for new writers. You can follow Hannah @hannahbegbie.